Diabetes and periodontitis are multifactorial chronic inflammatory diseases affecting hundreds of millions individuals worldwide. There is a bidirectional relationship between the two diseases, as diabetes is associated with increased prevalence, severity, and progression of periodontitis, and untreated periodontitis is associated with poorer metabolic control in individuals with diabetes. Furthermore, treatment of periodontitis has been shown to improve the metabolic status in patients with diabetes. Therefore, successful prevention and treatment of patients with diabetes and periodontitis requires an interdisciplinary approach involving both dentists and physicians. It has recently been demonstrated that periodontal disease status can be used as a predictor for diabetes and prediabetes risk assessment, and several investigations have reported that chair-side measurement of glycated hemoglobin levels (HbA1C), performed in the dental setting, can help in identifying individuals with potentially undiagnosed diabetes and prediabetes. Thus, since a significant part of the adult population attends the dental office more regularly than their physician, the dental office seems an intriguing venue for screening and prevention of diabetes. In the future chair-side measurements of HbA1C levels in combination with periodontal examination may therefore be performed as a routine in the dental setting. Such an approach might potentially facilitate early identification of individuals with prediabetes and undiagnosed, asymptomatic diabetes and accordingly referred to their general physician for further diagnosis, prevention, and treatment at early stages of disease, thereby reducing potential diabetic complications. Daniel Beltrøm, Morten Bay Grauballe, Niels-Christian Reimers Holm, Allan Flyvbjerg, and Palle Holmstrup declare that they have no conflict of interest. Reimers Holm N-C, Belstrøm D, Østergaard J, Holmstrup P, Grauballe MB. 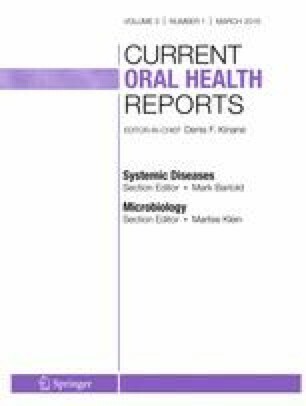 Identification of subjects with undiagnosed diabetes and pre-diabetes in a Danish cohort attending dental treatment. J Periodontol. 2016. doi: 10.1902/jop.2016.150266.